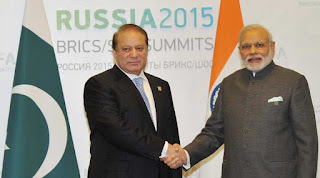 Truth by Kbaig: Joint Declaration of Sharif-Modi Meeting and Explanations by Pakistani Govt. Joint Declaration of Sharif-Modi Meeting and Explanations by Pakistani Govt. With the stubbornness with which Modi proudly acknowledged Indian role in the fall of Dhaka while arriving at Bangladesh those Indian journalists and writers that have been telling lies are trying to save their face due to shame when they are asked to comment over the recent disclosures of Modi and confessed that “they told the world what they were told by Indian govt. that India is a friendly country with weak economy that has been forced to give refuge to those Bengali’s that fled due to atrocities committed by Pak-army in East Pakistan. So that India was forced to bear the burden of these illegal immigrants while having a weak economy that is why India needed world’s attention for her service to the humanity. Indian writers and defense analysts also on the beck and call of the Indian govt. portrayed Mukti Bahni as local Bengali youth who snatched weapons from Pak-army and used these weapons against it and fought the war for separation of Bangladesh while Indian army got involved in this war when Pak-army attacked Indian border check posts in the name of chasing these Mukti Bahni separatists”. In contrast to this old propaganda Indian rulers, army officers and intelligence masterminds are now proudly taking the honor for playing active role in the separation of East Pakistan. Modi not only confessed Indian role but also proudly disclosed that India is busy in conspiracies against Pakistan in order to teach Pakistan a lesson. Pakistani rulers blinded by the business interests did not pay any heed to such big confessions and disclosures of Indian Prime Minister. 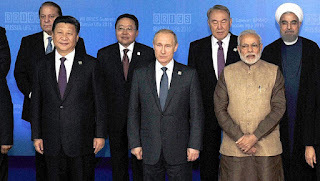 With the invitation to participate in Shanghai Cooperation Organization, news of meeting between Pak-India Prime Ministers also echoed as well. Three days ahead of the meeting, it was reported that Modi has expressed the wish to meet Nawaz Sharif in Russia and afterwards when Indian Foreign Ministry wrote a formal letter requesting for the meeting; nation hoped that during this meeting Nawaz Sharif would openly take the issues of Indian Occupied Kashmir, Indian interference in Balochistan, and not only providing funds but training and weapons to a political party in Karachi. Such like lolypop was given to the nation by Ministry for Information and News that Prime Minister would express the stance of the nation clearly and discuss all hot issues. India has already crossed all the limits of enmity against Pakistan by presenting the resolution against Pakistan in UNO which was vetoed by China. Few days ago the documentary by BBC over the provision of training, weapons and funds to a political party for terrorism in Karachi had reminded Pakistanis the Indian conspiracies in 1971 after which nation was expecting that Prime Minister Nawaz Sharif would take a clear stand in the meeting with Modi. On the day of the meeting, Indian media announced Indian victory. Indian media reported that Modi has made Nawaz Sharif ready to further the investigations in Mumbai attacks and bring Maulana Lakhvi to the trial, Indian media reported that Kashmir issue was not discussed by Nawaz Sharif but Modi complained that hoisting of Pakistani flag by Kashmiris in Srinagar is painful for India, it was also reported that Pakistan has expressed readiness to increase cooperation over terrorism in India which according to India is being done by Pakistani agencies. Indian media telecasted the video in which Nawaz Sharif had to walk through a 40 feet long gallery in order to reach the room for meeting in which Modi was already sitting. This was the insult of the Pakistani Prime Minister as per diplomatic rules while this meeting was held on the wish of Modi, Modi should have welcomed Nawaz Sharif on the door and walked towards meeting room along with the guest. 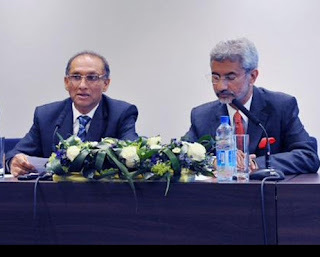 The joint declaration of the meeting had nothing about Indian interference in Balochistan, Pakistani concerns over Indian activities, and threats and confessions of Modi, even the interference of Indian secret agencies in Karachi was also not mentioned in it. Than what was the agenda of this meeting?